We have a VERY special episode for you today. My friend Janice Hisle, who was a reporter for over 27 years joins us to share details about the famous Ryan Widmer bathtub drowning case. Join us in this episode were we learn about Ryan and his wife Sarah and the murder case that has stumped everyone. Are you ready to hear the facts for yourself? Her wildly popular book SUBMERGED: Ryan Widmer, His Drowned Bride, and the Justice System has already had to be reprinted after just a few weeks in print. And readers have reported that they lost sleep over the book. It will be no surprise for you once you hear all the details of this baffling investigation. Did Ryan murder his wife or was this a very unfortunate hidden medical condition? In this episode we are going to present the facts and you will come up with your own conclusion. What are the most surprising reactions that you have gotten from your book? Why did Sarah’s parents withdraw support from Ryan? What did you learn through this process? Why the coroner concluded that it was murder. Janice’s experience after visiting prisons for interviews. Surprising new facts that have emerged since the trial. "Proud Sponsors of the Sisterhood of S.W.E.A.T"
My daily energy stems from mushrooms... mushroom coffee that is! Have you checked out Four Sigmatic yet? If you want a coffee that contains superfoods and adaptogens like rhodiola, eleuthero, and schisandra to help you live a healthier, more enhanced life, then you need Four Sigmatic mushroom coffee in your daily routine! Check out their products here and be sure to let me know what you think of it! Linda Mitchell is more than qualified to help women reach a point of empowerment . As an Institute of Integrative Nutrition graduate, an award-winning fitness competitor, and elite obstacle racer. she collaborated on the fitness portion of the book “Fat Flush for Life” with mentor and New York Times Best Selling author Ann Louise Gittleman. This book was listed in Time magazine as one of the top ten diet books for 2009. As a former columnist for 12 years for Ms. Fitness magazine, Linda decided to put everything into a book and it really evolved and became “The Sisterhood of S.W.E.A.T.”. Her book and the studio are all about helping women build confidence and self-esteem and learning to feel 100% great about themselves. Mitchell was inspired to open The Chickfit Studio after she found that deep down in her heart she wanted to do something that was worthwhile and made real, lasting changes in people’s lives. She opened The Chickfit Studio after working as a group fitness director and personal trainer for about 25 years. Our mission at ChickFit is to help women love themselves when they look in the mirror. Sign up to receive The Sisterhood of SWEAT Podcast, Chickfit Challenge, discounts, FREE recipes, and SOS blog updates by joining the newsletter by clicking the image below! 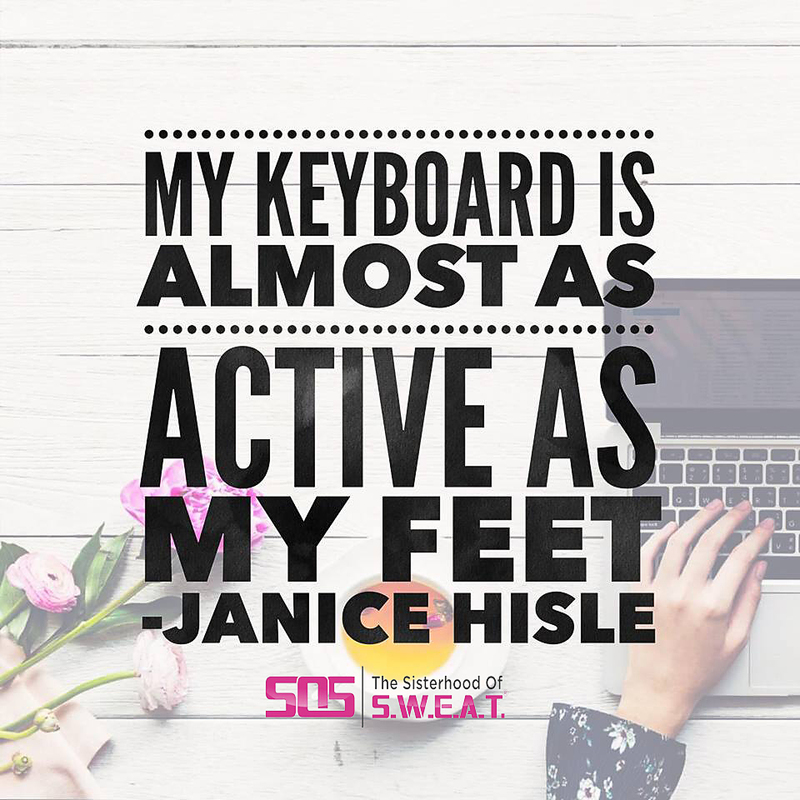 Sign up to receive The Sisterhood of SWEAT Podcast, Chickfit Challenge, discounts, FREE recipes, and SOS blog updates by joining the newsletter! My new book, "Sisterhood of SWEAT", is a woman's roadmap to bettering their health and gaining their self-confidence.